Princeton Junction, N.J., October 6, 2016 – Many cardholders and merchants have highlighted EMV transaction speeds as an area for improvement as the U.S. continues its migration to EMV chip technology. To provide guidance for issuers and merchants on speeding up EMV transaction times, the U.S. Payments Forum[i] has released a new white paper that provides details on three approaches: “faster EMV” solutions, contactless/Near Field Communication (NFC) transactions, and EMV checkout optimization. 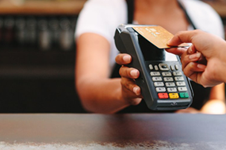 The white paper, “Optimizing Transaction Speed at the POS,” can be downloaded at http://www.emv-connection.com/optimizing-transaction-speed-at-the-point-of-sale/. Faster EMV Solutions. The white paper uses “faster EMV” as an umbrella term to describe the optimized online-only EMV transaction processing solutions announced separately by American Express, Discover, MasterCard and Visa. These solutions retain the security features of EMV, while removing dependencies which can negatively impact the cardholder perception of transaction time. Contactless/NFC Transactions. Enabling EMV POS terminals to allow contactless/NFC mobile transactions in the U.S. can greatly improve the cardholder experience. Cardholders benefit from being able to tap and quickly put away the contactless-enabled payment device. Merchants and cardholders benefit from both perceived and actual reduced transaction time compared to contact methods. EMV Checkout Optimization. There are various techniques that merchants and issuers can implement to help optimize the chip checkout experience, arising from both new learnings in implementing EMV and from traditional approaches to optimizing checkout throughput. This white paper is part of the U.S. Payments Forum’s ongoing effort to identify issues and provide guidance and best practices to overcome them to keep moving the U.S. chip migration forward. Other resources created by the Forum relating to EMV chip technology in the U.S. can be found at www.emv-connection.com.